A federal trial began Monday that was expected to include testimony from a Baltimore detective who prosecutors say protected a deadly heroin ring. 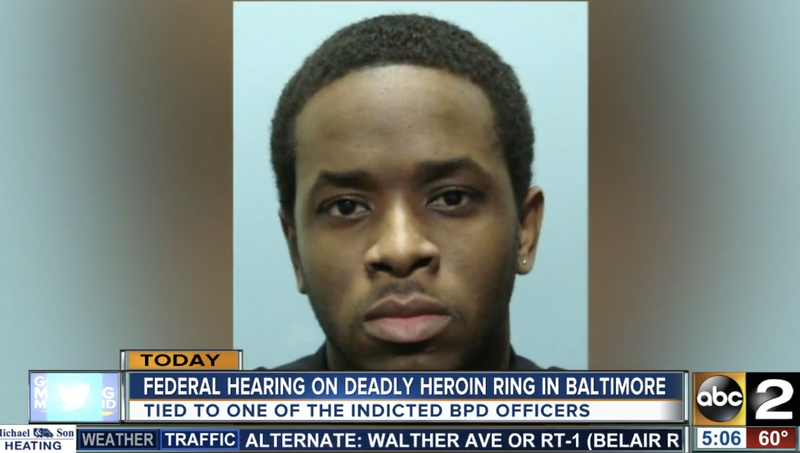 Detective Momodu Gondo, known as “Poppy” to the members of the drug crew, pleaded guilty last week to federal charges of racketeering and conspiracy to distribute at least 100 grams of heroin, according to the Baltimore Sun. Gondo, 34, was expected to testify during Antonio Shropshire’s trial in U.S. District Court in Baltimore. Shropshire, 31, is one of five charged with conspiracy to distribute heroin. The others are Antoine Washington, Alexander Campbell, Omari Thomas and Glen Kyle Wells. Gondo’s bust led federal investigators to an alleged racketeering conspiracy by Baltimore police officers who were part of the Gun Trace Task Force, which prosecutors say robbed and extorted drug dealers. Four other police officers face federal prison sentences after pleading guilty to racketeering; four more head to trial next year, the Sun reports. More than 100 people the disgraced officers arrested have been cleared of criminal charges or freed because their cases hinged on the officers’ word. Gondo and Wells grew up together, though, at least initially, their paths widely diverged. “Look, when I be talking to other people,” Wells said, “I be like, ‘Man, my best friend went right.’ I went left, man, but we still here,” according to a wiretapped phone call last year.